There has been a flurry of activity around the hotels and lodges in the mountains in the past year. As the 2019 winter season hits its stride, here’s what you need to know if you’re looking for somewhere new (or improved) to lay your head. The brand new Malcolm Hotel lobby. Photograph courtesy of The Malcolm Hotel. 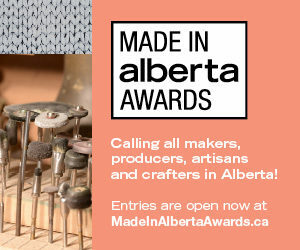 The red carpet rolled out this past November for the opening of The Malcolm Hotel, a brand-new flagship property within the Spring Creek development, which is building out a swath of land in the heart of Canmore that was formerly a dairy farm. The 124-room, four-star hotel is the jewel in the crown of Canmore-based Clique Hotels & Resorts. The hotel’s name pays homage to King Malcolm III of Scotland, who is also the namesake of the town (the imposing monarch was known as ceann mór, or “big head,” which became Canmore when Anglicized from the Gaelic). A large-scale commissioned portrait of the king by artist Charles Malinsky presides over the hotel’s expansive lobby, right at home amidst the alpine-regal design with seating upholstered in metallic-hued crushed velvet. In addition to its full-service Stirling Grill & Lounge, the hotel has 8,800 square feet of event space, most notably the grand Edinburgh ballroom with a lofted ceiling that crescendos to a wall of windows. If there is an unofficial royal couple in Canmore it’s Sara Renner and Thomas Grandi. The husband-and-wife Olympic-alumni-turned-boutique-hoteliers have run the folksy favourite Paintbox Lodge since 2010, following their retirement from Canada’s cross-country (Renner) and alpine (Grandi) ski teams. Last fall, the couple added Talus Backcountry Lodge to their hospitality family, a remote property in the East Kootenays accessible only by helicopter or guided ski touring. It’s a natural fit for Renner — her parents Sepp and Barb Renner ran the legendary Assiniboine Lodge before passing the torch to Sara’s brother Andre Renner, who currently runs Assiniboine with his business partner, Claude Duchesne. Over the past year and a half, Canmore has gained three new properties from Basecamp Resorts, a company headed by local hotelier Sky McLean, who got her start working in Calgary’s property development industry. Basecamp Canmore, which opened in August 2017, is a home-away-from-home-style condo-hotel on Bow Valley Trail that features fully equipped studios and one-, two- and three-bedroom units. Basecamp subsequently opened two more properties in 2018: Lamphouse, a 25-room hotel just off of Main Street near the Drake and Basecamp Lodge, a 30-room hotel converted from a former hostel located next to Basecamp Canmore. Lamphouse’s aesthetic is more modern, providing guests with “breakfast-in-a-crate” in their rooms, while Basecamp Lodge has a more rustic-cabineering vibe, and features a breakfast room that can also be booked as an event space with seating for up to 50. Exterior of Mount Engadine glamping tents. Photograph by Victoria Wakefield. 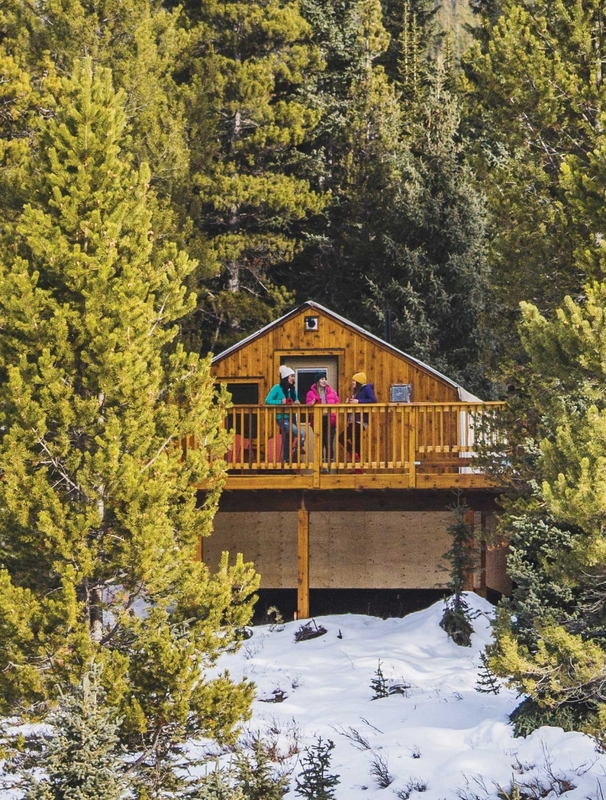 Located just off the Smith-Dorrien Trail that links Peter Lougheed Provincial Park with Canmore, Mount Engadine Lodge recently expanded its accommodation offerings by adding five glamping tents. (A portmanteau of “glamour” and “camping,” glamping tents are more like cabins with canvas walls.) Mount Engadine’s new digs have hardwood floors, stove-style gas heaters, king-sized beds and overhead fans, not to mention full bathrooms with showers. Each tent has an expansive front deck with views of the surrounding peaks. The tents can sleep up to four with use of the pullout sofa. Dogs are welcome to come glamping, too. In Kananaskis Village, the biggest news continues to revolve around the Pomeroy Kananaskis Mountain Lodge. Formerly a Delta property within Marriott International, the Kananaskis hotel has undergone almost $40 million in renovations over the past two years since being acquired by Alberta-based Pomeroy Lodging. Along with the name change announced last March, the hotel shifted its branding to Marriott’s Autograph Collection of unique, one-of-a-kind properties. Among the most dramatic changes was the construction on the premises of the Kananaskis Nordic Spa. The outdoor spa pools and sauna facilities opened in early 2018, followed by the opening of the Two Trees Bistro within the spa hub building last summer. Mount Royal Hotel rooftop. Photograph courtesy of Mount Royal Hotel by Pursuit. The biggest news on the Banff hotel scene in 2018 was the reopening of the Mount Royal Hotel. The historic property in the heart of Banff, first erected in 1908 and now operated by the North American tourism company Pursuit, was shuttered after a fire in the winter of 2016. (Though hotel guests were displaced on account of the fire, thankfully, no one was injured.) While the exterior of the building wasn’t much affected, the interior had to be completely re-done, allowing for a much-needed refresh to the dated decor. The hotel’s new look draws inspiration from classic quilting motifs and incorporates archival imagery of Banff and the Rockies. The renovation also included the construction of two new rooftop hot tubs and an enclosed rooftop lounge with floor-to-ceiling windows that make the most of the hotel’s central location and the surrounding alpine scenery. The Fairmont Banff Springs hotel experienced an eventful year on the food-and-beverage front, opening its new French bistro-inspired restaurant The Vermillion Room in the spring and welcoming a new executive chef, Robert Ash, last August. Snow Valley Motel tiny home. Photograph courtesy of birr. The Snow Valley Motel in Fernie is expanding its accommodation offerings with a cluster of “tiny homes” — lofted one-bedroom units that can sleep up to four. 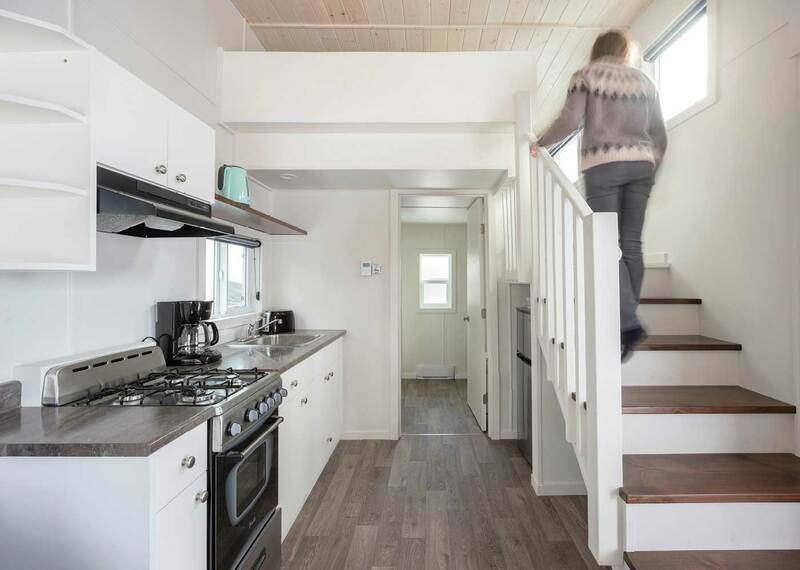 Each tiny home has a full kitchen with gas stove, oven and refrigerator and a full bathroom, as well as a wall-mounted television. As of this past December, three tiny homes are up and running as guest suites, with a fourth home designated as a common area. Plans are to add three more guest homes over the coming winter as well as an outdoor area with a gas fireplace, barbecue and seating. The Fernie RV Resort has also embraced glamping with the addition of five all-season yurts. The new yurts have wood floors, electrical heating and queen-over-queen bunk beds with eight-inch memory-foam mattresses. Pangea Pod Hotel. Photograph courtesy of Pangea Pod Hotel. Last August the Pangea Pod Hotel opened in Whistler. This easier-on-the-budget, adults-only accommodation concept is more like a stylish hostel than a hotel, with guests bedding down in individual compact “pods” that are like a cross between a train berth and a bunk bed. Each pod has a double memory-foam mattress, a small lockable storage space and enough head room to sit up in, with a curtain for privacy. There are 88 pods in total, arranged into “suites” of up to 18 pods per suite, with private changing areas and communal washrooms. The downside of having to share bathroom facilities is made up for with Pangea’s prime location in the heart of Whistler Village and oh-so-cool common areas, including a rooftop patio. The hotel also provides its guests with secure storage space for ski and bike equipment (a.k.a. The Toy Box) where you can also hang your outerwear to dry. The Fairmont Hot Springs Resort continues its multi-phased series of upgrades that includes renovations to guest bathrooms, new deluxe RV sites, new cabins that can sleep up to four, renovated pool change rooms and expanded grassy areas around the natural mineral hot springs pool, as well as the addition of pool cabanas with bar and food service. The resort has also completed menu and decor updates to two of its restaurants: the Bear’s Paw Bar & Grill and Antlers at the Lodge (formerly Mountain Flowers Restaurant). After breaking from July to September 2018 for the peak summer season, construction resumed in the fall and will continue through 2019. Avid skiers heading to the West Kootenays will be happy to hear of the opening of The Josie Hotel this past November at the base of Red Mountain Resort in Rossland. 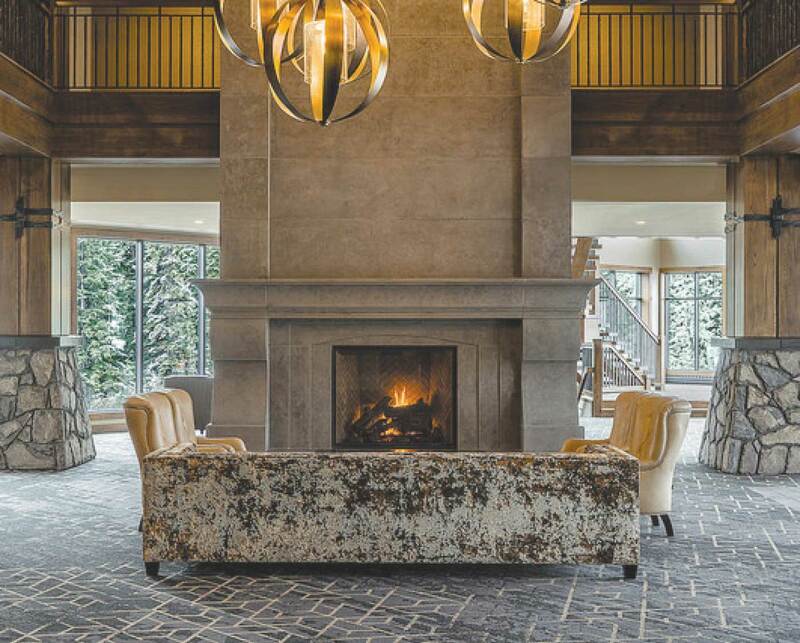 The brand-new, 106-room, ski-in-ski-out boutique hotel by Seattle-based Noble House Hotels & Resorts takes its name from the region’s Josie Mine — a nod to local history. The Josie has full-service dining in The Velvet Restaurant and Lounge and is just a hop, skip and a jump from Rafters, one of the all-time great après-ski bars. Photograph courtesy of Moose Hotel & Spa. 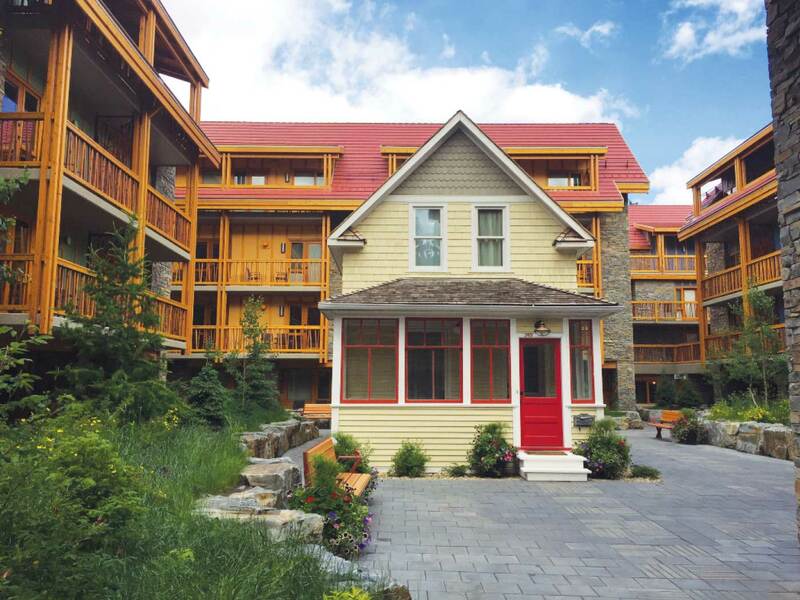 The Moose Hotel & Suites in Banff is a contemporary hotel built around a central courtyard, and in the middle of the courtyard is a restored heritage house that you can book as a guest. The “Corner House” was built in 1913 and was the original occupant of the site. It was moved offsite and restored during the construction of the hotel, then moved back into its current position in the courtyard, where it now serves as a functional guest suite and small-scale event space (not to mention an object of fascination). The house has an enclosed front porch and heritage elements throughout, such as a claw-foot tub in the bathroom and vintage-collectible baking tins as kitchen decor. And since Corner House guests have access to all the Moose Hotel facilities, such as the roof-top hot tubs and indoor pool and the Tesla-designated parking stalls, you can have your history and your mod-cons, too. The Moose Hotel & Suites is part of the Banff Lodging Company group of properties. To book the Corner House call 1-800-563-8764 or go to bestofbanff.com.